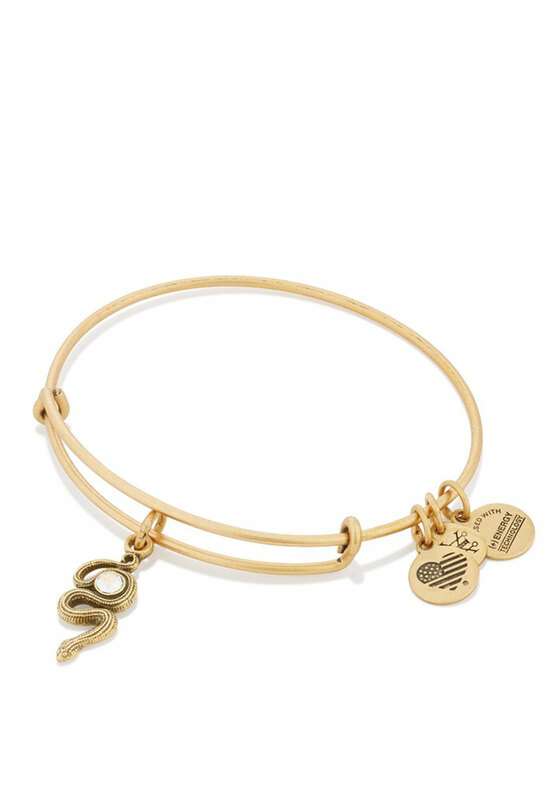 Alex and Ani present their expandable Snake charm bracelet in an antique Rafaelian gold finish. Like the snake, we transform with each and every decision we make. The serpent helps you embrace the changes that will transform you into exactly who you wish to be. The charm is adorned with a Swarovski crystal.